Wishing for higher outdoor temps? Us, too. Luckily, warmer conditions will come back, and enjoying warming alternatives while dreaming of T-shirt weather is still feasible. Think coffee. Our internal thermostats rise with a significant increase of blood flow from caffeine. Even a beer can warm a soul right up. But what about a delectable combination of java and beer in the morning? “It’s 5 o’clock somewhere,” “Beer:30,” “hair of the dog” or “before noon”—these famous words. Day-drinking occasions may include fishing, football, beach days and, of course, camping. While fantasizing about feverish heat, let’s take camping at the Coachella Valley Music and Arts Festival for example. The Southern California desert always has perfect day-drinking weather. There is nothing quite like waking up to a surprising chill in the air and the consuming excitement of a huge music festival. Around the campground, it is common routine to blast music, make breakfast and brew some rather awful coffee. And then, of course, crack a beer or a few before heading to the gates. It seems like an obvious transition to follow up the morning cups of joe with some smooth coffee ale. 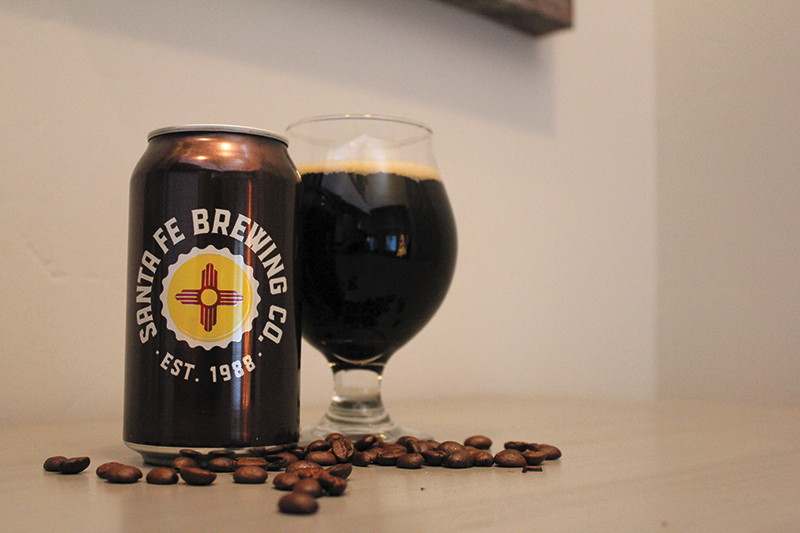 So, gearing up for Alabama Shakes—our expected beginning Day One highlight—we cracked open a Java Stout from New Mexico’s Santa Fe Brewing Company. The creeping heat paired with an easy drinker ensures that consumption goes smoothly. Let’s get ready to rock! This malt-heavy brew has top-quality coffee in the mix, which tantalizes the nose with a bold, nutty aroma. To release weighty fragrances of cocoa, roasted malts and organic coffee, try pouring Java Stout into a tulip glass instead of drinking from the can. A rich, black liquid devours the glass, leaving a delicate, quickly receding head of sticky, taupe foam in its wake. With mild carbonation, this robust stout tastes like a high-quality cold-brew coffee. Though the coffee tones are strong, little bitterness intrudes on the palate. The taste of alcohol is merely present, but the brewery effortlessly overloads malts into the formula, bringing it to an imperial ABV level. With a dark-chocolate, espresso finish, Java gifts a complex, full body and a velvety mouthfeel. 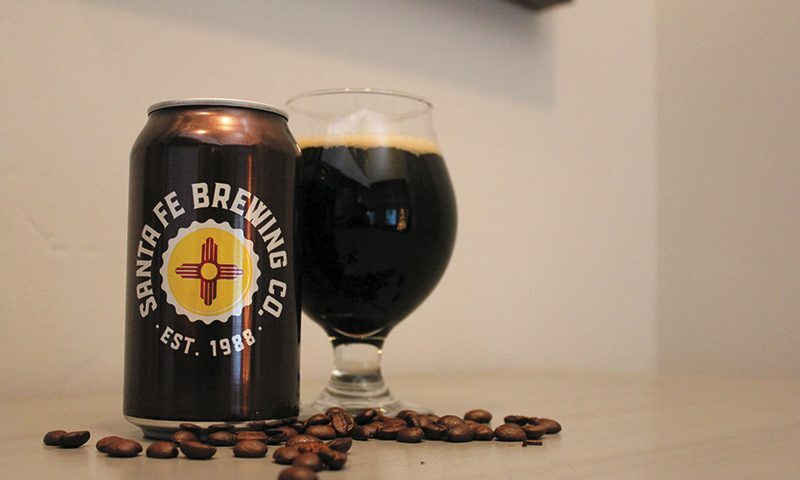 Santa Fe Brewing Company is relatively new to the Utah market, but you can find their core beer selection in local bars and liquor stores. Java Stout is a quality coffee beer marketed at an attractive price point. It’s an easy choice for not only an avid coffee drinker but a newb as well. It could be a good beginner beer to help guide an understanding of dark, roasted-malt flavors. A profound showcase of natural coffee and well-cooked malt essences stands out. It will satisfy both the coffee and beer sides of anyone. If you plan to get started before noon, remember that this is not a coffee replacement, and drink plenty of water to get yourself prepared. It has an alcohol level that will sneak up on you if you aren’t careful. Santa Fe advises that this is a “before noon” and “after noon” beverage. It tastes so good, making it easy to get caught a bit off guard. We found the dehydrating Coachella sun to be relentless and unforgiving after a couple “coffees.” Who knew that waking up and enjoying a cold, roasted, dark beverage before noon was going to lead to missing the Alabama Shakes? We’ll admit: On Day Two, we did a little less day-drinking.